Since the age of seventeen the effect Jane Austen has had on my life cannot be over-exaggerated. From the time I stepped into B. Dalton and picked up an omnibus of her works to just a few days ago when I was re-reading Sense and Sensibility and reliving that first reading over twenty years ago, Jane Austen has become a part of me. She has informed my sensibilities as a human and inspired me in my life and art. Therefore I couldn't let the two hundredth anniversary of her death pass without comment. Two hundred years since we lost not just a great voice in literature, but a woman who captured the similarities of humanity across the ages and inspired us to all search for our true loves. Over these summer months I'm going to be re-reading Jane's six novels, watching my favorite adaptations, playing a bit of the tourist, and discussing how Jane and her work has affected my own art and design work. 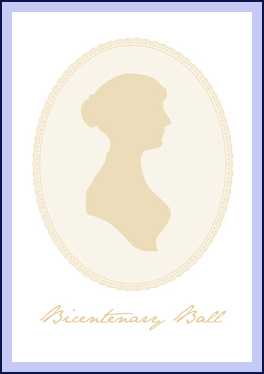 I hope you'll all join me in praising Jane, I know she'd be happy to have a ball in her honor two hundred years later. After all, she loved to dance!